Is Corruption Really A Big Problem In Foreign Aid? : Goats and Soda In his new book, economist Charles Kenny argues that we're obsessed with tracking down corruption when we should be measuring results. Some U.S. officials cite it as one of the biggest reasons to stop giving aid to the developing world. Sen. Rand Paul, for example, claimed that 70 percent of foreign aid is "skimmed off the top," in January. But economist Charles Kenny says they've got it wrong. "The evidence that aid is siphoned off isn't there," he says. In fact, donors like USAID and the World Bank are so fixated on cracking down on corruption that in his view it's harming aid. He outlines that in a new book, Results Not Receipts: Counting The Right Things In Corruption, released in June. Perfectly good programs have been nixed because some money went missing, he argues. And sometimes, he writes, governments that are characterized as weak or corrupt are cut off from foreign aid. And he's come up with data showing that sometimes a group spends more money hunting down fraud than measuring whether the aid helped people. We spoke to Kenny, a senior fellow at the Center for Global Development, to find out more. This interview has been edited for length and clarity. So even though you don't think we should be obsessed with corruption, you do admit that corruption is out there. 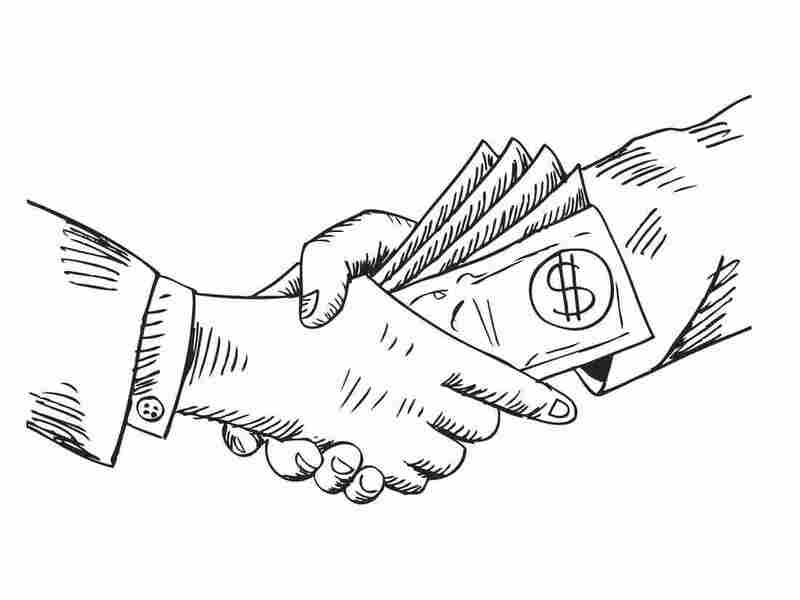 What kinds of corruption are there in the aid world? [One] way is that you charge too much for what you'll deliver. There have been cases where government officials have improperly used funding. There's a lot of low-level corruption. For example, training programs where people get a per diem of let's say $15 from an aid agency and they don't turn up. If this happens across thousands of trainings, [the agency will ask]: where's the money? But you maintain that corruption is not widespread. The evidence of the scope of corruption suggests it's not a very big problem. It isn't somehow a more fundamental problem than a number of other issues that poor countries face: poor health, limited access to finance, weak infrastructure. For you, the real problem is that donors pay too much attention to corruption. In the last 20 years, we have seen an increasing focus on [aid donors] counting every dollar spent at the expense of measuring results. Focusing on corruption without regard to questions like "did the aid program work" or "are lives being improved" is an unhealthy obsession. We're forgetting that the outcomes are what we really care about. What is the worst example of that? USAID, after the invasion of Afghanistan, worked with the country's Ministry of Health and set up a system that provided very basic levels of health care to the majority of Afghanistan's population for a low cost. It worked. After the Taliban [fell from power] life expectancy jumped so rapidly [from 42 years to 62 years between 2004 and 2010]. There were huge improvements — especially for young people and children. You can trace that to increased vaccinations, neonatal care funded by USAID. A special investigative team [from USAID] looked at the Ministry of Health's accounts and they were not perfect. The Ministry couldn't show where [$63 million of the U.S.'s $236 million investment] went. As a result, USAID's special inspector general in Afghanistan recommended that the agency "provide no further funding to the program until program cost estimates are validated as legitimate." They ignored massive evidence of impact. It's a terrible story. We did reach out to USAID for comment and they said the program "ended as scheduled." You're also critical of the World Bank. The World Bank spends a lot of time investing allegations of corruption, watching money flow from bank account to bank account. This sad feature does not make sure you get what you pay for. [You need to] go out to see whether the road you finance used the right kind of gravel and that the concrete was properly mixed. And again, we reached out to the World Bank. They responded that their efforts to fight corruption and ensure that projects deliver results cannot be done "without the other." You also argue that in some cases governments are denied aid because they're viewed as weak or corrupt. A number of aid agencies, including the U.S. Millennium Challenge Corporation, refuse aid or give less aid to countries that score badly on subjective measures of corruption. Because these subjective measures tend to suggest poor countries are more corrupt, that means some of the world's poorest countries and people don't get as much aid. So you're saying just because a country is viewed as corrupt does not mean they should not receive aid. Aid works in environments that people think are corrupt. Rather than counting every dollar, track outcomes. If we have aid that is meant to go to schools, show evidence that kids actually went to school. If we want ARVs [antiretroviral medications] to treat AIDS, ask: Are fewer people dying of AIDS? If we focus on making sure that what was paid for was delivered, we can make sure there's no money left hanging around to be corrupted.